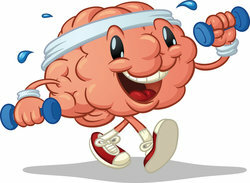 Today we are talking about Enhancing your Mental Performance with Regular Exercise. Have you ever wondered whether exercise could do more than just help you stay in shape or improve your physical health? 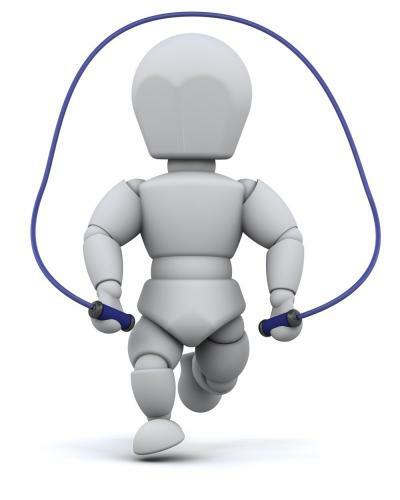 Research shows that exercising for as little as 20 minutes per day can actually boost mental performance. More specifically, engaging in an aerobic exercise such as cycling, swimming, or walking, at a moderate intensity followed by a cool down session has been shown to improve cognitive functions. Concentration, memory and functional capacity which, refers to the ability to effectively complete activities, can all improve with exercise. When researchers have visualized the brain of people exercising they have discovered that exercise lights up specific areas of the brain, which are related to the ability to mentally focus. This is especially helpful for performing challenging activities such as learning a new sport. In addition to causing increased activity in specific parts of the brain, exercise leads to the release of neurotransmitters and proteins that are responsible for the growth and protection of cells in the brain. Exercise is key, as sitting for long periods of time has been found to be related to depression and cognitive impairment. Moving throughout your day is important to improve your mental health. Regular physical exercise is also associated with an improved level of self-esteem, a heightened mood, and increased autonomy; all of which can boost mental performance. One particular study showed that 10 to 40 minute bursts of physical exercise appeared to improve blood flow to the brain, which immediately boosts an individual’s ability to concentrate and mentally focus. In addition, the results showed that exercising for approximately 20 minutes before giving a speech or taking a test can improve performance. Going for a brisk walk before taking a test enhances activity in regions of the brain that can allow an individual to concentrate and ignore noisy distractions. Staying physically active throughout adulthood also plays an important role in the prevention or reversal of cognitive problems such as senility or dementia. Furthermore, older individuals who are inactive and experiencing cognitive difficulties such as memory loss or trouble concentrating can experience enhanced mental performance by beginning to exercise regularly. If aerobic exercise cannot be performed due to an injury, strength training and yoga have been shown to improve mental health and performance as well. Finding the motivation to engage in regular exercise may be difficult at times, especially as the seasons change and certain outdoor activities are temporarily discontinued, but remembering the physical and mental benefits of remaining active should help. Furthermore, the changing of the seasons provides an opportunity to perform different types of physical activities that can help strengthen the body as well as the mind. If a current or previous injury is hindering you from exercising regularly or you want to avoid further injury by ensuring that the proper form and techniques are being performed, our trained professionals can provide you with advice regarding physical therapy approaches and strength training methods. Our team of professionals can also help you find strategies to keep you moving throughout your day.